To provide practical resources and advice on the SalesTech selection process. We are supportive and transparent partners who help businesses identify the right technology that supports the goal of Selling More, in Less time, at the Right Price, while Reducing Costs. Neutrality is the foundation on which our company was built. Our sole focus is to provide objective recommendations and clarity that our clients know they can rely on. We offer full transparency and down-to-earth dialogue to filter out the noise and focus in on what needs to happen for your business to grow. 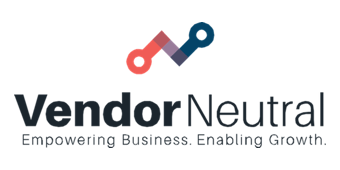 Vendor Neutral helps identify technology requirements based on Sales Capability Gap Analysis Assessments and focused discovery calls to put companies on the best path to growth. We promise only to provide sensible advice that serves your best interests while avoiding academic double-speak and marketing mumbo jumbo. Vendor Neutral is the brainchild of two sales heavyweights, Nancy Nardin and Dan Cilley, who saw an opportunity to combine their strengths to provide the most comprehensive and objective SalesTech guidance. Dan and Nancy don’t just share a passion for SalesTech; they have the expertise and experience that very few can match. Nancy, who has been recognized by Forbes as one of the Top 30 Sales Influencers in the World, has provided sales leadership to premier analyst firms such as Gartner Group and IDC. Today she has her own successful firm, Smart Selling Tools, and is widely sought after for her sales insights. Dan is a big believer in improving customer engagement without disruption and has been enabling enterprise-level organizations for more than 20 years through his company, Telemaximum. As a founding member and chapter president of the Sales Enablement Society, Leader of the Sales Enablement definition committee and the President of the American Association of Inside Sales Professionals; Dan’s influence is second-to-none. Together, Dan and Nancy are uniquely positioned to help organizations leverage modern technology and consulting resources to achieve their goals and objectives.